When your sightseeing is hindered by weather or you’re just sold on convenience, the Hershey Harrisburg Region has a few choice places that offer activities and delicious food all under one roof. Take a sweet trip back in time to unwrap the life and legacy of Milton S. Hershey, the man who started it all and forever aligned his name (and this town!) with chocolate. Begin your journey through The Hershey Story with Hershey’s inspiring and humble beginnings where, had it not been for his try and try again attitude, the Hershey Company might never have gotten off the ground. Learn why Hershey’s innovations like the revolutionary conche machine for mixing chocolate changed the way the world experienced chocolate treats. 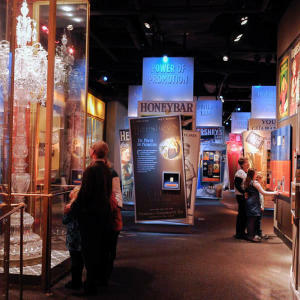 Push buttons, watch films, and interact with the exhibits, designed to keep everyone in the family engaged. You can even sample warm drinking chocolates from around the globe or adopt Hershey’s innovative spirit as a candy-making apprentice in the Chocolate Lab. Share your favorite Hershey moments with one another over breakfast or lunch in The Pantry Café. You’ll find a varied selection of sandwiches, salads, soups, and homemade specials and a coffee bar. End your meal on a sweet note with an irresistible cupcake, brownie, cookie, cake pop, or slice of pie from their dessert case. 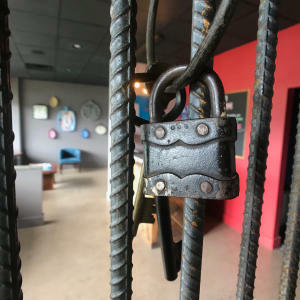 Grab your family or a group of friends for an afternoon of puzzles and pilsners at Escape Room Hershey and its adjoined sister business, Hershey Biergarten. 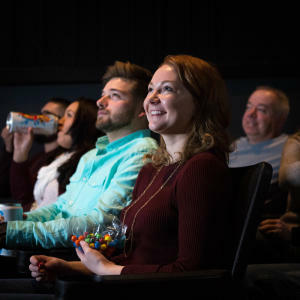 First, book an escape room, choosing from one of its exciting themes: Wacky Candy Factory, Wizard’s Laboratory, and the new Roaring 1920s: Investigation at the Speakeasy. You’ll have one hour to unlock the door, and your mission is to search for clues and evidence, unscramble puzzles, and work together to solve the mystery. Kids can play, too! While the puzzles are difficult, they are not impossible for children ages 10 and up, which is the age recommended for active participation. If you don’t escape in time, you’ll be locked in forever! No, just kidding! After 60 minutes, the moderator will unlock the door, and you’ll have a chance to ask questions. What better motivation to escape than a celebratory meal at Hershey Biergarten. Their mouthwatering menu includes flatbreads, street tacos, sandwiches, and lots of team shareables like warm pretzel sticks and nachos. Reward your brain-busting abilities with a cold brew. They are proud to offer Hershey&apos;s largest craft beer selection with local breweries on-tap and an enticing wall of refrigerated bottle options. Just remember - if you and your group are discussing your daring escape, make sure you keep your voices low as not to reveal the secrets! You probably already knew that Hershey’s Chocolate World Attraction is the ultimate one-stop shop for chocolate lovers year-round. There’s a chocolate tour, chocolate tastings, a 4-D show, create-your-own candy bar activity, shopping, dining, and more desserts than you can handle! Whether you’re bringing the kids or you’re a kid at heart, spend a couple of hours exploring three floors of interactive, science exhibits at Whitaker Center for Science & the Arts. Build a wooden car and test its downhill velocity, learn something new about the human body, experience hurricane force winds in a simulator, and more! 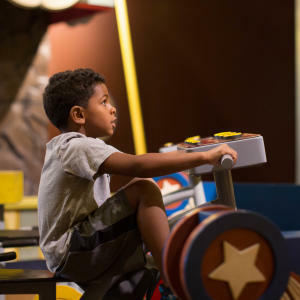 Curious kiddos under age 5 can explore the child-sized city, KidsPlace, where climbing, crawling, construction, and creative play is encouraged! The Whitaker Center also holds the area’s largest digital movie screen showing immersive 3D documentaries and larger-than-life films. If you schedule your trip just right, you can catch a show in their Sunoco Performance Theatre which hosts musicians, dancers, plays, musicals, comedians, and more. 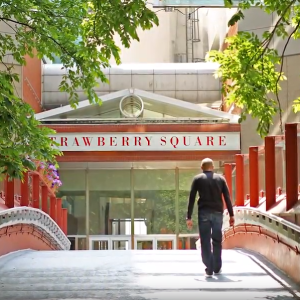 After working up an appetite, take the concourse to Strawberry Square, a surprising collection of local shops and eats. Browse unique fashion finds, never-seen-before gifts and home accessories, and even a neighborhood grocery store, before settling on a lunch option from their food court. Be sure to stop by and watch the Chockablock Clock, a 46-foot-tall audiokinetic sculpture with sound and motion devices, chimes, bells, drums, ball track, and more curious details. Also located in the neighborhood is Hilton Harrisburg, allowing you to make it an overnighter if you choose. You’ll also find two incredible restaurants – Ad Lib Craft Kitchen & Bar and 1700° Steakhouse – perfect for pairing a delectable dinner with a show or movie at Whitaker Center. These two places are staples in the Midtown Harrisburg community, and make a perfect date destination. 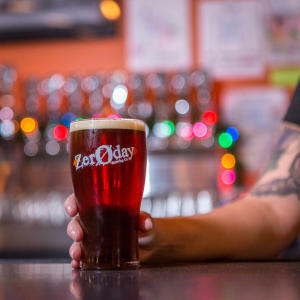 Grab a table at Zeroday Brewing Company and sample their clean, balanced ales and lagers. Flagship favorites include Mango Hab, a refreshing IPA brewed with sweet mangoes and spicy habanero heat, and Wastin’ Daylight, a light-bodied cream ale that complements a sweet day of sightseeing. The best part about ZeroDay’s proximity to Midtown Cinema is that you’re allowed to bring crowlers from the brewery into your flick. They call it BYOZ! Midtown Cinema is Harrisburg’s independent art house theater showing limited release, indie, and foreign films. When it comes to eats, you’re looking at a selection of seriously delicious snacks. Zeroday offers pizza pies from Knead with your choice of toppings, and Midtown Cinema’s upgraded snack bar includes flavored popcorn, Italian sodas, a coffee bar, and milkshakes. You might be wondering why there’s only one place listed above. 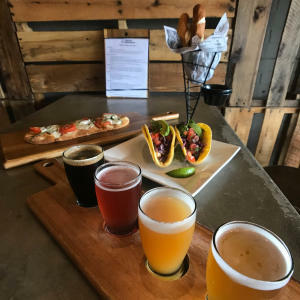 The Millworks in Harrisburg happens to be a farm-to-fork restaurant, meets craft brewery, meets art gallery that provides a menu of things to experience under one roof. When it comes to food, Millworks only uses ingredients found locally and farmed sustainably. Their focus on seasonal menus that incorporate the best fruits and vegetables available delivers farm-fresh, flavorful dishes. While you’re waiting for your food to arrive, try a sampler of their craft beer, made on site with the same care they have for their food. Ask for their PA Preferred selection that’s made with 100% Pennsylvania ingredients. 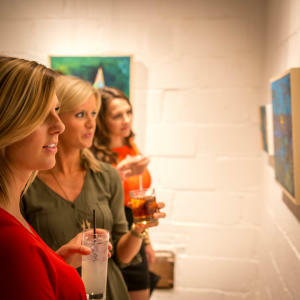 A large portion of their facility is dedicated to art. They rent out studio space to more than 30 Central Pennsylvania painters, sculptors, jewelers, and artisans who work on their creations while customer watch from the restaurant and open-air courtyard. Many of the works are available in the first-floor gallery for admiring and for purchasing! There’s no better one-stop shop for adults than Hollywood Casino. 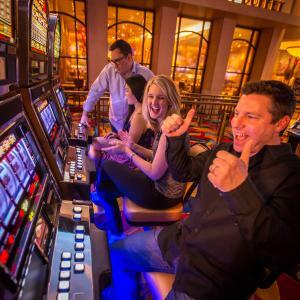 With more than 2,300 reel, video slot, and video poker machines, 50 table games, 17 poker tables, and a new sports betting area, there are ample opportunities to win big and have a great time while you’re trying. Experience the thrill of live thoroughbred horse races Wednesday through Sunday and live simulcast races from across the globe any day of the week. The Hollywood Casino has several on-site restaurants and eateries including the fine dining Final Cut Steakhouse, the energetic Skybox Sports Bar, the endless Epic Buffet, and the trackside Mountainview Dining. Try something new at The Eatery, a food hall that has four unique areas and menus inspired by Chef Fabio Viviani. Even though there’s no roof, keep City Island in mind when the beautiful spring and summer weather comes to call. Putt a round at Water Golf, our region’s most scenic miniature golf course. Take a ride on the City Island Railroad. Set sail on The Pride of the Susquehanna Riverboat. Cross “horse-drawn carriage ride” off your bucket list with South Mountain Carriage Co. End the night at the ballpark, cheering on the Harrisburg Senators Baseball team.